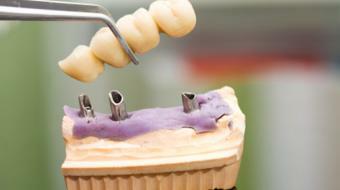 Endodontics is the dental specialty focusing on root canal therapy. We are Registered Specialists in Endodontics, Certified by the College of Dental Surgeons of British Columbia. A root canal is one of the most common dental procedures performed. Well over 14 million are performed every year. This simple treatment can save your natural teeth and prevent the need for bridges or dental implants. 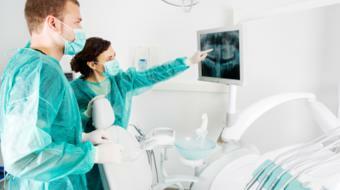 A root canal is one of the most common dental procedures performed. Well over 14 million are performed every year. 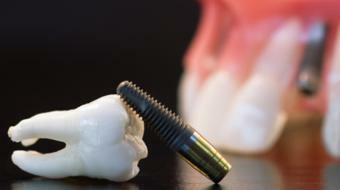 This simple treatment can save your natural teeth and prevent the need for bridges or dental implants. If you have questions about root canal therapy at our office in Vancouver, BC, please call us, (604) 879-0661. At the center of your tooth is the pulp. The pulp is a collection of blood vessels that helps to build the surrounding tooth during formation and remains in the center of your tooth. Infection of the pulp can be caused by trauma to the tooth, deep decay, cracks and chips, or repeated dental procedures. Symptoms of the infection can be identified as sensitivity to temperature or pain in the tooth and gums, or visible injury or swelling beside the tooth. If you experience any of these symptoms, your dentist will most likely recommend non-surgical treatment to eliminate the diseased pulp. This injured pulp is removed and the root canal system is thoroughly cleaned and sealed. This therapy usually involves local anesthesia and may be completed in one or more visits depending on the treatment required. Success for this type of treatment occurs in at least 90% of cases. If your tooth is not amenable to endodontic treatment or the chance of success is unfavorable, you will be informed at the time of consultation or when a complication becomes evident during or after treatment. Sometimes endodontic microsurgery is needed to make your treatment successful and this will be explained to you. You will be able to drive home after your treatment and will be comfortable returning to your normal routine. Are you a health practitioner that works at FHL, Certified Specialists in Endodontics? Sign up with Health Choices First.